Positioning Your Brand, Company, and Customers for Success! We’ve talked a lot about customer success beginning with customer trust and a great onboarding process. Let’s take a step back and discuss the importance of brand positioning. 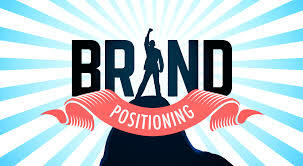 Positioning your company helps establish your product or service in the eyes of the customer. Brand positioning also provides your company with direction and differentiation. You need to first identify what makes you different from your competitors and then continually push those unique qualities to your customers. Is it providing great customer service? Do you pay close attention to small details? Are you great at communicating and building positive relationships with customers? These are the things that will set you apart. These groups want different things. In order to communicate in a compelling way, you need to understand what motivates each group and what they value. High-end homeowners may value quality workmanship, while rental property owners may care more about how quickly the job can be completed. Survey existing clients in your target market to find out what motivates them to buy. How will you reach your target customers? This relates to both advertising AND project-related communication. For example, if the majority of your target audience found your business on the internet, email communications make sense. The end result (the purchased object, the finished project) is not what your client is really buying. They are really buying peace of mind, security, convenience, or maybe the great feeling they get when they spend time in their freshly painted home (I’m sure there’s a word for that). Identifying what your customer is actually buying is key to developing your brand positioning. Based on your target market, this is important. Think about the difference between Maserati and Dodge; both brands are owned by Fiat Chrysler, but they are positioned very differently. This is also important. Check out how your competitors are positioning themselves and figure out how you want to distinguish your own brand based on what makes you unique, who is in your target market, and what customers are really buying from you. Positioning your business takes time and dedication but is an important part of the business planning that ultimately generates consistent revenue streams, brings in new customers, retains current customers, and is a way to attract prospects, talent, and influencer to your business.